Just my random thoughts about my life, mostly game design/programming and such! I also have not played many games besides Grand Theft Auto 5, League of Legends, and currently The Division so I haven’t updated my games list either. Sadly, almost no board game fun either. One day I’ll come up with something interesting to write. Maybe C# 6 stuff or another silly, drippy game opinion. This entry was posted in Uncategorized on April 6, 2016 by Anthony Barranco. Sorry its been so long since my last blog. Ive been particularly busy lately with work and…. League of Legends. Ugh. Too much League for my own good. I’ve got another iOS book review in the works and I’ve been getting more and more into board games recently thanks to a buddy at Ubisoft (designer on Assassins Creed) who you can checkout here at StrawPixel, his blog. Here is my BoardGameGeek profile. I’ll be trying to add a sidebar on the blog for it. Book review should be up maybe this weekend! This entry was posted in Uncategorized and tagged board games, ubisoft on June 27, 2014 by Anthony Barranco. Interesting bit came up at work with our bi-weekly “brown bag” lunches with our programming team – Scripting vs Native C++ code. A lot of game developers, and even in many other realms, some of the code base may be split into Lua or Python for easy, quick iteration. I know many studios, such as many of the Call of Duty studios, use primarily Lua for their gameplay scripts. The argument is that is easy to write, iterate fast, and provide to employees who don’t have deep programming knowledge (like some gameplay designers and such). It’s perfectly legitimate too, there isn’t anything inherently wrong with the scripting languages augmenting a huge C++ code-base engine. However, there are caveats such as managing two different languages and creating wrappers for stuff. Also, Lua doesn’t have proper debugging tools many C++ programmers are used to, and when tied into that code-base, it can become a nightmare to debug. Enter C++ code thats runtime-compiled and used as a scripting language. Fantastic read, pretty classy too. Each script is a single cpp file that gets compiled into a dynamic library which recompiles everytime the file changes, even during gameplay. The scripts even get a nice little compression size reduction too. Good read. This entry was posted in Uncategorized and tagged C++, cpp, programming, recommended reading, scripting, student, visual studio on May 16, 2014 by Anthony Barranco. From 18th Mar 2014 to 26th Mar 2014 Packt is offering a free eBook with every eBook that customers purchase. That means you can get books like CryENGINE Programming in C++, C#, and Lua and Unity Multiplayer Games which I recently reviewed for the price of one! This entry was posted in Uncategorized and tagged sponsored on March 22, 2014 by Anthony Barranco. 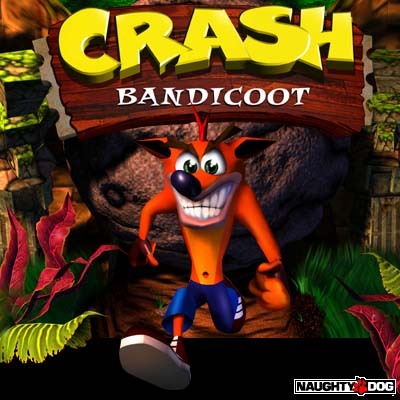 Here is about 1-2 hours of reading that is a smorgasbord of amazing behind-the-scenes for the design of Crash Bandicoot. There is something here for everyone. Whether you’re into design, art, management, programming, or just want to hear about what its like going up against Miyamoto head-to-head and having him play your game at E3. Hilarity ensues throughout the entire thing. As a programmer, you may be particularly privy to Andy’s custom LISP language GOOL (and GOAL used for Jak/Daxter) at Part 9. If you’re not into technical stuff like how these guys helped pioneer the first ever genre of 3D adventure games and their technical limitations, you might want to avoid most of the stuff in the first 3 parts but even artists should pay attention. This entry was posted in Uncategorized and tagged documentary, playstation, recommended reading on January 20, 2014 by Anthony Barranco. Network Programmer on For Honor. I've previously worked at Rockstar on Red Dead Redemption 2, Ipreo, and was a Microsoft Student Partner. My passion is with computers and video games - a geek by nature and proud of it. Anything I say is entirely my own opinion and is not representative of the companies I work or have worked for.